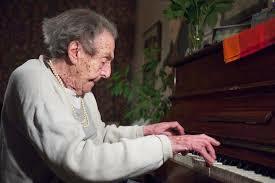 Alice Herz-Sommer died on Sunday, March 2, 2014, at her home in London, at the age of 110. 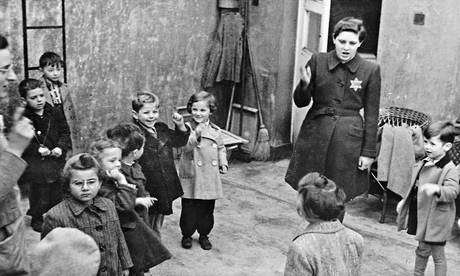 She was the oldest known survivor of the Holocaust. 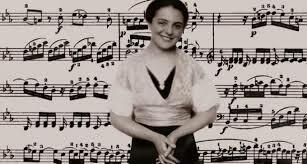 Mrs. Herz-Sommer was a concert pianist in her native Czechoslovakia before the war, and said that it was Frédéric Chopin who had “fed” both her and her audiences in over a hundred concerts she gave in her two years in the ghetto-concentration camp in Theresienstadt. She spent most of her time perfecting Chopin’s Études, a set of 27 solo pieces known for their technical innovation and sheer mechanical difficulty. Chopin became her food; it nourished her soul. 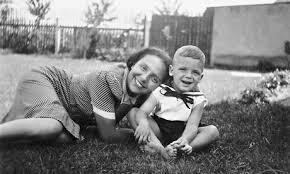 In Theresienstadt, her son would often ask her, “Mother, why don’t we have anything to eat?” She believed human beings don’t need food when they have something spiritual. “The concerts, the music was our food.” But wasn’t it painful to not have food? “No, I was always laughing,” although she slept on a stone slab floor with no covers and no pillow. If she could play the piano, she was happy. She was glad to be alive with her son; her concerts ensured that she and her son would survive. Her secret to happiness was to be thankful, thankful for everything. Thankful for seeing the sun, for seeing a smile, for a nice word from someone. Everything we experience is a gift; we have to be thankful for it all, was her philosophy. She learned Bach by heart. When she got cancer at 83, her doctor told her that knowing Bach by heart was more healing than all the pills she could take. Sometimes she was thankful to have been at Terezin. “We all learn from mistakes.” Bad has to exist, she said with a smile, always a smile. I lived my life backwards, looking back at all the beautiful and wonderful things I have had. And she learned from the bad, saying hatred eats the soul of the hater. Reminiscent of the Dalai Lama, she said complaining is a waste of time. “I know about the bad, but I only look at the good things.” Everything you receive is a present and arises out of how you look at the world. Wealth is of the spirit, she told The Guardian. She never hated, not even the Nazis, saying that we all do wrong sometimes: forgiveness of the ultimate sort. Until virtually the end of her life, she practiced for three hours every day, and it is what helped her survive the death of her son Raphael in 2001. Music was the food of her soul, and her music fed the souls of so many. It kept them living when they had no food to eat. Her music continues to resonate, as does her example as a human being. She continues to nourish us, even though only in spirit.